Arguably one of the most important pieces of furniture in your home, your mattress is where you end the day each night and start the day each morning. Purchasing a comfortable, durable, and high-quality bed really can improve your quality of life, which is why we’ve written this best mattress article. Below, you’ll find a comparison chart revealing our top 10 picks, in-depth reviews for each, as well as a buyer’s guide with some specific features to look for. 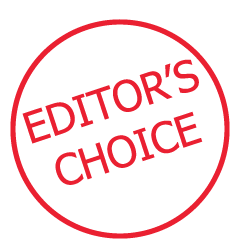 While choosing our Editor’s Choice has been more difficult in some of our past reviews and buyer’s guides, Tuft & Needle (T&N) made that decision a no-brainer for our this article. Hands down, we believe Tuft & Needle produces the top product on the market and don’t think there is any question that their mattress deserves the honor of Editor’s Choice. Tuft & Needle is a brand that, in their own words, “believes in truth, transparency, the lack of markups, and one perfected product based on what their customers tell them.” As you may have noticed if you’ve already spent any time looking for a new bed online, prices seem to be a lot more reasonable than the last time you delved into the market. You can thank T&N for much of that drop in prices, as they have been a forerunner in disrupting the mattress-buying industry. T&N started after their founders realized the insane markups that mattress companies were subjecting their unknowing customers to and said enough was enough. T&N explains, “As consumers we’re trained to think that high-priced products are always better. At Tuft & Needle, we flipped this thinking to bring a high-quality product that we could charge thousands for and instead, price it honestly and fairly.” This a brand that set out to produce an amazing product at a fair price; we believe they have gone above and beyond even their own expectations. Enough about Tuft & Needle as a brand, let’s get to the mattress they’ve crafted. Firstly, this T&N mattress is not made of a foam that you’d find in any other product or off-the-shelf. T&N has spent a great deal of time on research and development and has created Tuft & Needle Adaptive Foam completely from scratch. This foam is meant to adapt to the user’s body to relieve pressure, provide a good mix of bounce and support, and stay cool in temperature due to its gel and graphite composite. Adding to this, T&N’s foam is unique from every other foam in that the more pressure that’s put on it, the more it reacts to support the user. As a common complaint with standard foam is that there isn’t enough support, we’re amazed by T&N’s revolutionary top layer. This makes it the ideal mattress for any sleeper, regardless of size or weight. While some mattresses are made for specific preferences (side sleepers, back sleepers, or stomach sleepers), this mattress does it all. Tuft & Needle’s mattress is made in California and has been tested and certified by CertiPUR-US, an organization that tests for physical performance, content, indoor emissions and environmental stewardship. In addition to T&N’s Adaptive Foam top layer, this mattress contains a supportive base layer made from high-density poly-foam. T&N’s foam is covered from top to bottom and wrapped in a 50% rayon, 50% polyester material which has been tested and certified by Oeko-Tex, a worldwide consistent, independent testing and certification system for raw, semi-finished, and finished textile products. Moreover, the mattress cover material has been tested and verified by an accredited lab and fully complies with flammability standards. Although box springs were once the standard when it came to one’s sleep set-up, this is no longer the case. Consumers now have more options from companies like Ikea, where bed frames use slats instead of the more traditional box springs. Adding to this, some bed frames are now adjustable and can be positioned at an angle for sitting up and/or TV viewing purposes, which means buying a mattress not only consists of finding the right product for you and your significant other, but also one that will fit into your bedframe. And finally, some of us have decided to go the minimalist route, opting out of everything but the mattress itself, directly on the floor. Well, we’ve got news for you: whether you have a traditional box spring, a slatted frame, an adjustable frame, or the floor itself, the Tuft & Needle should your situation with minimal effort. We know what you’re thinking: this is all well and great, but buying a mattress online seems like a terrible idea; what if we hate it and then get stuck with a large, fairly expensive product we don’t want? Tuft & Needle is way ahead of you on this one, as they provide a 100-night trial with no-hassle returns. Adding to this wonder, they also provide a 10-year warranty with purchase, although they tout that this mattress is built to last even longer than that. Moreover, receiving and setting up this mattress is quick and easy. Since it’s shipped rolled up in a medium-sized box, all it takes is unboxing it, unrolling it, cutting through some plastic, and allowing the mattress some time to expand. Tuft & Needle has made a name for itself in the industry and no longer needs an introduction. With over 10,000 5-star reviews, and praise from reputable news outlets like Forbes, Fortune, Entrepreneur, and the New York Times, T&N has a reputation that directly correlates with the quality mattress they produce. Tuft & Needle knows a thing or two about disrupting an entire industry and creating a beloved product in the process. This mattress surpasses every mark imaginable and is truly one of the best overall products that we’ve ever had the opportunity of reviewing. Like the Tuft & Needle mattress above, Casper has created a mattress that has taken the mattress industry by storm and has played a part in disrupting the industry in just a few years’ time. Casper’s goal is in the name, as they designed their mattress to be so comfortable that sleepers forget it’s even there (much like Casper is the name of a ghost – hint, hint). Casper’s lofty goals and amazing execution have made quite a name for the brand and for this specific mattress: Time lists it as one of their 25 best inventions of 2015, Fast Company lists it as one of 2017’s most innovative companies, and the Business Intelligence Group honored Casper with its Big Innovation Award for 2016. Adding to this, Casper continually improves their flagship mattress based on customer input and feedback, which has resulted in them receiving over 36,000 reviews across multiple platforms averaging over 4.5 (out of 5) stars. Now, onto the mattress itself! Unlike the mattresses of yesteryear that were created overseas, this Casper mattress is designed and built in the USA. Adding to this, Casper uses high quality, durable materials to produce a mattress that will hold up over time. They start with a strong support foam bottom layer that’s purpose is to strengthen the above layers and provide lasting durability. Above this layer is an adaptive transition foam, meant to distribute weight equally and resulting in superb comfort. Next, Casper uses responsive memory foam to relieve pressure on the sleeper. Finally, Casper’s top layer is made of their proprietary open-cell foam that offers a dual benefit: it provides ample bounce and it keeps the user cool at all times. The mattress is specifically designed to maintain sleeper coolness, and this open-cell top layer uses convection and conduction to actually circulate heat away from the body. Additionally, Casper’s memory form layer is able to pull heat from the open-cell layer; as a result, heat is always being pulled downward and away from the sleeper, keeping the temperature perfectly comfortable on top of the mattress. Casper’s layers are then wrapped in a knit cover made from “premium textiles” and has a zip-off feature allowing for super easy washing. Like our Editor’s Choice, all of the foams on this Casper mattress are CertiPUR-US certified; CertiPUR-US is a certification program that ensures foams are made without ozone depleters, mercury, lead and other heavy metals, formaldehyde, phthalates, and are low VOC (Volatile Organic Compound) emissions for indoor air quality. It is clear that CertiPUR-US foam mattresses are definitely the gold standard, as they both protect you and your family from potentially harmful chemicals, as well as helping to protect our environment from such dangers. Like Tuft & Needle’s mattress, the Casper mattress can be used on a number of different surfaces, including a box spring, a flat platform, and a slatted base. If you’re flexible in the setup, Casper recommends using the “Casper Foundation”—their version of a traditional box spring—suggesting that it provides optimal support when coupled with their mattress. Like some of the other mattresses in this article, the Casper comes shipped in a medium-sized box and expands once taken out. This process is a far cry from the mattress-buying days of the past, which included a great deal of planning how you were going to get your newly purchased mattress home and who you were going to call to help you get the sucker up the staircase and around that tight corner leading to your bedroom. Mattress buying is a big deal; Casper gets that, which is why they provide a 100-night trial of their mattress as well as a 10-year warranty. If, for any reason, you don’t love your Casper mattress, they allow you to return it for a full refund within 100 days. Casper, along with some of the other brands on this list are shaking up the mattress industry in a beautiful way. With consumer-mindedness and desire to produce an excellent product at a fraction of the cost you’d find with a traditional mattress, we can’t speak highly enough of this product. This Casper mattress encompasses everything one looks for when buying a new mattress. Casper has created a truly remarkable foam mattress and makes the mattress-buying process seamless and stress-free. Leesa started after its founders realized that most of the added “features” in traditional mattresses were nonsense meant to justify the skyrocketing prices of the mattress industry. One of Leesa’s goals when creating a mattress was to simplify the mattress itself as well as the mattress-buying process. The Leesa mattress is now one of the most popular direct-to-consumer mattresses and is becoming more of a household name every day. Like some of the other best mattress brands on this list, Leesa realized that consumers were getting the short end of the stick every time they stepped foot into a physical mattress store. They committed to making a change and have found success, evidenced by the more than 2,000 five-star reviews that their mattress has already received. Leesa is serious about designing mattresses, which is why they use exclusive premium materials to craft a superb sleeping experience. The bottom layer of this mattress consists of six inches of dense core support foam, which is meant to add strength, durability and structure for sleepers of all sizes, without the uncomfortable over-firmness of some foam mattresses. Sandwiched in between the bottom and lop layer of this Leesa mattress is two inches of contouring memory foam. This middle section of the mattress is meant to give sleepers’ both body contouring as well as pressure relief, something memory foam mattresses are known for. Finally, the top layer of this mattress consists of two inches of cooling Avena foam. Avena foam promotes air-flow, providing a cooler night’s sleep, as well as a good bounce so that sleepers can easily move around. Leesa explains that Avena has better performance than latex in not only durability but also in bounce, yet it also has the ability to minimize motion transfer so that partner’s are not disturbed. Holding it all together is Leesa’s foam cover, which is made of a polyester-lycra blend. We are huge fans of Leesa’s cover, not only because of its beautiful design, but also because it is cool, soft, and seamless. Because of the way this mattress is designed, it is able to provide a good night’s rest for any sleeper, regardless of body weight, size, or preferred sleeping style. Moreover, this Leesa mattress is made in the USA. Because standard box springs and curved slats may make this Leesa mattress feel too soft, they recommend something like a solid platform, solid box spring, slatted base or bunkie board over a traditional box spring. Like the two mattress reviews above, Leesa offers a 100-night trial of their mattress as well as a 10-year warranty. If you, for any reason, aren’t satisfied with your Leesa mattress, they provide free returns 100 days from the date of purchase. Should you decide the Leesa isn’t the right fit, they have made the return process seamless, going so far as actually arranging for it to be picked up from you and dropped off at a donation or recycle center, free of charge. We’d be remiss if we didn’t highlight the work that Leesa is doing in the community and around the nation. Leesa has pledged to donate one custom-made mattress to nonprofit organizations for every ten mattresses that they sell. Additionally, they have partnered with the Arbor Day Foundation and plant one tree for every mattress that’s sold. Moreover, they as a company donate their time and resources to help and support local and national organizations. Leesa has met the highest social and environmental standards and is a certified B Corporation, which means that they “meet rigorous standards of social and environmental performance, accountability, and transparency”. This is the equivalent of coffee being certified as Fair Trade or milk being certified Organic. Like the Tuft & Needle and Casper mattresses reviewed above, the Leesa mattress provides an insanely comfortable and supportive foam top layer with a price that won’t break the bank. Moreover, Leesa provides a philanthropic aspect to their company in a way we’ve never seen done before in the mattress industry. Near the bottom end of the price range on this mattress reviews article is Perfect Cloud’s Atlas Gel-Plus 10” mattress. But don’t let Perfect Cloud’s reasonably priced Atlas mattress fool you—this is a high quality mattress made by a reliable mattress brand and designed by sleep experts. Perfect Cloud pulled out all the stops when designing this mattress (which we’ll get into below), and it definitely shows when looking at all of its features. Moreover, this particular mattress is Cloud Atlas’ bestselling memory foam mattress, which is saying a lot from a reputable brand like theirs. For starters, Perfect Cloud’s Atlas mattress is neither too firm nor too soft, but just the right firmness. This makes the Atlas a great mattress for sleepers of all sizes and position preferences. The first (bottom layer) of the mattress’ three layers is a four-inch layer base support foam that promotes ample air flow for a sleep that the perfect temperature. The middle layer is a three-inch comfort foam layer. It, like the layer beneath it, helps to provide a good deal of air flow without compromising on comfort. Finally, the top layer of the Atlas consists of three inches of dense four pound Gel-Plus memory foam. Protecting the three layers and ten inches of foam is a premium knit cover that is completely removable for cleaning purposes. The knit layer contains suede siding from the bottom to about half way up the mattress and offers a soft-to-the-touch feel as well as a beautiful design. Adding to this, the mattress is hypoallergenic and is given an antimicrobial treatment to fight microorganisms like dust mites. In addition to the Atlas mattress’ already impressive features is the fact that it’s CertiPUR-US certified, meaning it is “made without ozone depletes, PBDE flame retardants, mercury, lead, and other heavy metals.” Additionally, this certification means no formaldehyde or phthalates regulated by the Consumer Product Safety Commission were used. Finally, Perfect Cloud mattresses are low VOC (Volatile Organic Compound) which makes them a great choice for anyone, but especially important for households with pregnant moms and/or children. Rounding out the laundry list of features that Perfect Cloud’s Atlas mattress boasts are its 25 year no-hassle warranty and the fact that this mattress is designed in the USA. Although one of the more-reasonably priced mattresses on our list, the Atlas mattress by Perfect Cloud is a well-made and comfortable foam mattress. It’s 25-year warranty is much longer than some of the other brands on our list and provides peace of mind when pulling the trigger on buying this mattress. Brentwood Home is a brand that shouldn’t need much of an introduction, as they’ve been crafting mattresses as well as other home goods in the Los Angeles area for over 30 years. Brentwood Home is a brand committed to creating products with morally and ethically-sourced materials, and, as they say, “all inspired by [their] love for the natural world and [their] home in California.” Brentwood Home touts their honest prices and explains that because of their manufacturing experience and lack of a middle-man, they’re able to provide their customers with affordable and honest pricing. In a similar price range as our Tuft & Needle Editor’s Choice, this Brentwood Home Bamboo mattress is a wonderful product with an emphasis on comfort, health, and attention to detail. The Bamboo mattress is one of the thickest on our list, with four layers and 13 total inches of durable and purposeful foam. The very bottom layer consists of 7.5 inches of base foam meant to provide substantial support and absorb the weight of the sleeper. This results in less motion transfer and noise. Above the base foam layer is two inches of ventilated foam that promotes airflow, meaning a breathable mattress that provides a comfortably cool sleep for its users. Just below the top layer of this Bamboo mattress is a 3.5-inch gel memory foam layer. This gel memory foam layer distributes weight evenly across the surface of the mattress, helping to relieve sleepers’ pressure points. Brentwood Home notes that this layer makes this mattress ideal for couples, as it is able to isolate the motion of one user so to not disturb another user. The top layer of this mattress is quite unique and unlike many of the other mattresses on the market; it is made of New Zealand wool. Brentwood Home chose to use New Zealand Wool as the top layer of this mattress for a number of reasons. First, wool is able to keep bodies cool in hot temperatures and warm in cold temperatures, as it naturally regulates body temperature. Next, wool is both sustainable and natural, meaning it can be ethically produced time and time again. Finally, wool is a natural fire barrier, meaning it helps to deter a fire from spreading further. The beautifully constructed Bamboo mattress is then wrapped in a soft and durable bamboo cover that doesn’t contain any harmful chemicals and can be easily taken off to clean and replace if need be. To top all of these wonderful features off, this mattress, like some of the others we’ve reviewed thus far in this article, is CertiPUR-US certified. As we touched on in the introduction of this review, Brentwood Home handcrafts all of their mattresses in the USA, Los Angeles, California specifically. We can’t say enough about mattresses that are crafted in the USA, as they are made with the highest quality and care. Moreover, like Perfect Cloud’s mattress above, this Bamboo mattress comes with a 25-year limited warranty. 25 years is an astonishingly long time, and is a testament to the build quality and care that Brentwood Home puts into each mattress it produces. If you’re worried about how you’re going to get this mattress to your home and then into your bedroom, don’t be. Brentwood Home understands how difficult mattress buying can be and has made the process as easy as possible for you. This mattress comes rolled up in a medium-sized box and unfolds and decompresses once pulled out. We have to admit—there’s something oddly satisfying about watching a mattress blossom into its true self right in front of our eyes. If you’re looking for an ethically and sustainably made foam mattress from a brand with a rich history, look no further. Brentwood Home has crafted a high quality mattress with unique materials and has been able to do it all in Los Angeles, California. A lot of mattress brands boast that their one mattress is one-size fits all, no matter your height, weight or sleep position; Sleep Innovations is not one of those brands. Unlike some of the brands on this best mattress post that sell one mattress, Sleep Innovations sells a variety of different mattresses for the variety of different people in our world. That being said, this Shiloh mattress we’re reviewing here is one of Sleep Innovations’ most highly rated mattresses, and is best for the average to bigger body and any sleep position. If anything about this particular mattress doesn’t suit your needs, Sleep Innovations offers a variety of other options for you to check out! As Sleep Innovations has been around for quite a while (over 20 years), they know a thing or two about mattress making. Sleep Innovations explains that their promise of providing consumers “simply the best sleep possible, every single night” spurs them on to test every detail of their products. This particular Sleep Innovations mattress consists of a “DuoComfort Design”, meaning there are two layers that make up the mattress. The base layer of the Shiloh mattress is 9.5 inches thick and is made of premium support plus foam. The top layer of this mattress is 2.5 inches of deep sleep “SureTemp” memory foam. The memory foam is designed to provide a classic comfort layer with body-cradling comfort, which is best for the average to bigger body as we stated above. Additionally, the Shiloh mattress has proven pressure point relief, courtesy or the extensive research and development that Sleep Innovations allocates to the creation of each type of mattress they have to offer. As was stated in the prior paragraph, this particular mattress, although one of Sleep Innovations’ highest rated, may not be completely right for your personal needs. Sleep Innovations offers a number of mattresses for different body types and we recommend taking a look at one of their comparison charts if you’re interested in purchasing a mattress from them. We’re big fans of the exterior of this mattress as it offers a tailored and cushioned mattress cover that’s just plain beautiful. Aesthetically speaking, the exterior of the mattress is gray about 3/4 of the way up, with the top fourth being white. The gray portion of the mattress has a somewhat diamond-stitched pattern, while the white portion has more of a swirl-switched pattern with some diamond shapes throughout. If patterns aren’t your thing, however, Sleep Innovations also offers this same mattress with a smooth exterior mattress cover. As what seems to be a trend with this new breed of foam mattresses, this mattress is made in the USA, and, oh yea, has an astounding 20-year limited warranty. Moreover, this Shiloh mattress is vacuum packed for easy shipping and handling. Sleep Innovations offers a variety of mattresses to fit almost anyone’s sleep needs. If this particular mattress fits your needs, fantastic. If it doesn’t however, Sleep Innovations offers a “Find Your Fit” tool on the Sleep Innovations website. This Sleep Innovations Shiloh Mattress is the byproduct of many years research and development by mattress industry experts. Whether it’s this mattress or another Sleep Innovations mattress that better fits your needs, you’ll get a great product at a reasonable price-point. Although Lull is considered a start-up company, their flagship mattress has experience written all over it (not literally, of course). The Lull mattress is the byproduct of hard work from experts with 30 years of experience, and it shows when looking at the design and craftsmanship of the mattress itself. Lull explains that their desire is to help people live a better life by obtaining better sleep. Lull was conceived after their CEO realized how little the mattress buying process has changed since the last time he purchased a mattress, and said enough was enough; soon after, the Lull mattress was born. Since hitting the market, the Lull mattress has been reviewed by over 1,500 buyers (verified ones, at that), obtained a 4.9/5 Google Trusted rating, and achieved a 95% satisfaction rate. With those credentials alone, we could probably stop the review right here, but there’s even more impressive details about the mattress itself. Coming in at 7” in thickness, the bottom-most layer, what Lull calls its core support layer, is designed to provide strength, durability and structure. Lull uses a foam that consists of high-quality polyurethane and is meant to not only “hold up” but provide a wonderful, comfortable sleep. As with some other brands, Lull points out that this mattress is great for couples because of its motion-absorbing responsive foam. Moving up one layer, the middle layer of the mattress is 1.5 inches thick and is considered to be the “transition layer.” Lull understands the importance of providing that goldilocks amount of bounce, and uses a proprietary blend of premium foam so you don’t ever feel stuck in a rut, so to speak. The combination of Lull’s 7” core support layer and 1.5” transition layer is meant to provide spine alignment and therapeutic support, explains Lull. The top layer of Lull’s mattress is 1.5” of viscoelastic memory foam, and is injected with a gel polymer to keep sleepers cool by transferring body heat evenly throughout the mattress. Additionally, the top layer’s ability to distribute sleeper weight equally allows for pressure points to be relieved. As with Tuft & Needle’s mattress, the Lull mattress can be set up in a large variety of ways. With the typical box spring and mattress setup becoming less common, mattresses have needed to evolve and become more flexible. Lull understands the importance of options, and gives their customers the ability to use their mattress with a box spring, flat platform, adjustable bed, slatted base, and even straight on the floor. Lull takes a lot of the legwork out of purchasing a new mattress, since it will likely fit into what setup you already have in your bedroom. Like many of the mattresses on this list, all Lull mattresses are CertiPUR-US certified; CertiPUR-US is a certification program that ensures foams are made without ozone depleters, mercury, lead, and other heavy metals, formaldehyde, phthalates, and are low VOC (Volatile Organic Compound) emissions for indoor air quality. Moreover, Lull is so confident that you’ll love this mattress, that they offer a risk-free 100-night trial. If you’re not happy with your Lull mattress, you have the complete freedom to return it within 100 days or purchase. Adding to this, Lull will have the mattress picked up from your home, meaning there’s no work to be done on your end. Even after those first 100 days are up, Lull wants to ensure that you’re satisfied with your purchase, which is why they provide a 10-year warranty. Either way you look at it, Lull’s got your back—your literal back, (side, and stomach), and your figurative back in the form of your wallet. Lull’s mattress comes conveniently shipped in a medium-sized box and can easily be carried into your bedroom and unboxed in the perfect placement, without having to shimmy it around tight corners and over fragile furniture. Once unboxed, Lull instructs you to position the mattress on your bed frame or wherever its permanent residence will be. Then, remove the outer wrapping and watch as your mattress begins to take shape and expand. Lull explains that once unwrapped, you can sleep on your mattress immediately, as it will do most of its expanding between just 2 to 5 hours; and it will be fully expanded in 1 to 2 days. Although Lull is a relatively new brand, their mattress is the product of years of experience, expertise, and passion. Similar to T&N, Lull is a disruptor in the mattress industry and has created a superb product with excellent customer service and support. GhostBed comes from a long rich, entrepreneurial lineage, with the founder’s family actually starting the Werner Ladder Company in the early 1900’s—visit any hardware store and you’re bound to see these ladders everywhere. Additionally, they themselves have decades of industry experience. GhostBed’s story is somewhat similar to some of the other mattress brands on this list, in that they saw a need for change in an unchanging industry. GhostBed’s desire from inception was to provide a high quality, long-lasting latex/gel memory foam mattress for much cheaper than offered at traditional mattress stores. They understood that millennials were looking for something different and more innovative when it came to their sleep, and knew just what to do: engineer a better mattress and deliver it in a better manner. Aesthetically, we love the look of this mattress; so much, in fact, that the thought of covering it up with sheets is saddening. The side of the mattress is gray with white stitching in the pattern of diamonds, while the top is all white with similar but smaller diamonds stitched in white. GhostBed explains that it took them over 15 years of research, development, and design to create their mattress. They have fully considered everything from the look of it to the engineering and feel of it. The bottom layer consists of 7.5 inches of high density support core. This bottom layer of support provides durability, comfort and support and won’t give out over time. Above this layer, sandwiched between the top and bottom layers is 2 inches of GhostBed exclusive gel-infused memory foam. This middle layer is meant to minimize pressure for the user. The top layer of this mattress is 1.5 inches thick and consists of natural latex that has the ability to maintain its coolness and provides a subtle bounce. GhostBed points out that, on average, their mattress is an inch thicker than standard mattresses. Finally, the GhostBed mattress is protected with a mattress cover (we described the design of this above), which has a zipper for easy cleaning and replacement, if necessary. Like some of the other mattresses we’ve reviewed thus far, the GhostBed mattress is CertiPUR-US certified, meaning it is created sans mercury, lead, ozone depleters, heavy metals, phthalates, formaldehyde and PBDE flame retardants. We can’t say enough about mattresses that are CertiPUR-US certified, as it not only protects you and your family, but protects our environment. Adding to this, GhostBed makes their mattress in the USA, and offers customers an astounding 20-year warranty. As it seems to be a trend in this new mattress-buying environment, this mattress comes with a 101-night trial, which means you can return your mattress absolutely free of charge within 101 days of when you received it. GhostBed understands that purchasing a large item can be a hassle, which is why they’ve chosen to vaccum-seal their mattress. After each mattress is vacuum-sealed, it’s placed into a medium-sized box and shipped directly to your home. GhostBed’s shipping method allows you to easily bring the box to your bedroom, open it up and let your brand-new mattress expand over a few hours’ time. Not only does the vacuum-seal help for compact shipping, but it also makes it so that you won’t have to worry about it picking up germs in transit. There really doesn’t seem to be anything that GhostBed hasn’t thought of when it comes to providing a superb mattress with excellent customer service. Like every other mattress in our post, the GhostBed is a solid choice that deserves to make any short list. With its wonderful aesthetic, proprietary memory foam, and naturally responsive latex, we would be more than happy to get our rest on a GhostBed mattress. While a few of the brands in our best mattress article may also sell some accessories such as pillows or sheets, Lucid produces a plethora of other products, including storage and transport bags, mattress protectors, mattress toppers, foam furniture, and bed bases. Like Sleep Innovations, Lucid doesn’t believe in the one-size-fits-all mantra of other mattress brands. Wanting to meet specific needs each particular person may have, they instead a wide variety of memory foam and latex mattresses that range in mattress thicknesses, depending on your preferred feel. The Lucid Plush mattress that makes our top ten list is their thickest mattress as well as the thickest mattress on our list, coming in at 16 inches. Due to its thickness, this particular mattress provides a plush feel, and is extremely soft. As we would recommend for any mattress brand that offers various types of mattresses, be sure to do your research if you’re interested in purchasing a mattress from Lucid. While this mattress received rave reviews, you personally may prefer a firmer medium or medium-plush feel, of which they have numerous options. This particular Ludic plush mattress has four layers overall, all of which contribute to its immense softness. The bottom-most layer of this mattress is 10 inches of supportive high-density base foam to provide a solid and dependable mattress foundation. Above this layer is 2 inches of natural latex foam to add just the right amount of bounce to the mattress. Situated on top of the natural latex foam layer is 3 inches of ventilated gel memory foam to aid in airflow and breathability. Finally, the top layer of the Lucid Plush mattress consists of 1 inch of Bamboo Charcoal Memory Foam, which helps to reduce odors gathered over time by perspiration. Combined, the four layers of this mattress provide a comfortable and cozy sleep and are able to help in alleviating pressure points by conforming to both body weight and sleep position. Holding it all together is a soft Tencel blend fabric cover that feels great to the touch and is removable in order to be cleaned or replaced. As if the above design of this mattress wasn’t enough, Lucid has gone ahead and gotten all of their mattresses CertiPUR-US certified. CertiPUR-US is an organization that tests for physical performance, content, indoor emissions and environmental stewardship. This certification means Lucid mattresses are made without prohibited phthalates, ozone depleters, mercury, lead, heavy metals, formaldehyde, or PBDE flame retardants. Additionally, Lucid’s foams have been certified by CertiPUR-US to be low VOC (Volatile Organic Compound), meaning they’re emissions are minimal and safe for indoor air quality. Lucid believes so strongly in the quality of their products that they provide a 25-year warranty with purchase. As Lucid explains, “Exceptional quality and time-tested durability enables a robust product guarantee with one of the longest warranties on the market.” Lucid ties Brentwood Home and Perfect Cloud for having the longest warranties of the brands we have listed. However, unlike some of the other mattresses listed, Lucid doesn’t provide a lengthy trial period and free return window. Finally, Lucid’s shipping process is a smooth and simple process. Since this mattress is constructed of foam, Lucid is able to squish it into a fairly small box. This allows you to easily transport what will be a fairly large and cumbersome mattress from your front door to your bedroom without bumping any walls. Speaking from experience, there are few things more irritating than having to yank a mattress around a tight corner. Once you have the Lucid box in your room, you simply open the box and unroll your mattress. Your mattress can take it from here, as it will expand over time until it’s at a whopping 16 inches in height. Coming in at a whopping 4 layers and 16 inches thick, this Lucid Plush mattress is just that: plush. Lucid pulled out all the stops to make this mattress extremely soft and comfortable, yet durable and dependable. Don’t forget, they’ve got plenty of other options to precisely fit your own specific mattress preferences. Although Yogabed is a newcomer to the industry, their mattress and brand as a whole act like an experienced veteran, which is why they made it onto our list. They explain that they are committed to providing their customers the best sleep possible, and they have an excellent product as well as stellar customer reviews to back that claim up. Yogabed is a brand that believes in simple shopping, meaning what you see is what you get; you won’t find any high-pressure tactics or hidden costs. Adding to this, although their brand is relatively new, the Yogabed mattress was crafted by professionals with decades of industry experience. Much like many of the other mattress brands in this post, Yogabed strives for innovation and disrupting the status quo; and we believe they’ve definitely accomplished that when considering the product they’ve created. Before we get into the Yogabed’s four layers, we have to stop and appreciate the sheer beauty of this mattress. We’ve reviewed a lot of mattresses and have seen some wonderful designs, but in our opinion Yogabed takes the cake. The mattress itself has a heather gray fabric that goes from the bottom of the mattress to about two-thirds of the way up. Above this material is a thin, black piece of fabric, about an inch in thickness, which separates the bottom two-thirds from the top third. Finally, the top third of the mattress consists of a white, Thermocool high performance fabric with a beautiful zig-zag and circular design. The design is both beautiful and calming—two things you want in your bedroom. The bottom of four layers is a one-inch support base that’s meant to provide lasting strength and durability. Above this layer is a six-inch breathable foam base that’s both cool and responsive. Yogabed explains, “Our naturally cool and responsive foam construction ensures 95% better airflow and three times better heat and moisture wicking than traditional memory foam.” Situated on top of the mattress’ foam base is two inches of YogaGel, a Yogabed technology that cushions sleepers while spreading impact throughout the mattress. Yogabed points out that their YogaGel technology provides seven times more thermal conductivity than traditional memory foam, another feature that ensures you stay cool and comfortable. At the top of Yogabed’s mattress is an inch of Yoga Instant Response Foam, which combines with the YogaGel beneath it to provide incredible comfort and pressure relief. Finally, the Yogabed mattress is covered with the beautiful mattress cover we described in the previous paragraph, and it is removable for cleaning or replacement. As if the Yogabed mattress wasn’t enough, Yogabed provides two Yogabed pillows when purchasing a full-size or larger bed. Like their mattress, Yogabed’s pillows contain Yoga Instant Response Foam and is the perfect finishing touch for a good night’s sleep. But wait, there’s more: unbelievably, Yogabed offers a 365-night no-risk trial, or your money back. This type of no-risk trial for a mattress is virtually unheard of; the closest on our list is GhostBed’s 101-night trial, but that pales in comparison to Yogabed’s. Adding to this, each Yogabed mattress comes with a 10-year warranty, is made in the USA, and is shipped free anywhere in the continental USA. The second brand on our list to do so (Leesa being the other), Yogabed has an incredible give-back mentality and provides one bed to charity for every ten that are sold. A good night’s rest is an incredibly important thing, and Yogabed is playing a part in providing that to those who it might be out of reach to. Yogabed offers a beautiful American-made mattress with an extensive amount of technology to keep users comfortable and cool. Adding to this, they have a list best no-risk 365-night trial period and provide two pillows with purchase of a full-size or larger mattress. With all of the various mattress brands, materials, and technologies now available, it can be hard to sift through the noise and find the mattress that will provide you with a good night’s rest so that you feel refreshed each morning. And because mattresses come with a pretty hefty price tag, choosing the right one is even more important. Below we give some tips for things to look out for as you do your own research and find the ideal mattress for your needs, wants, and budget. Also be sure to check out our article above for the top ten overall. Buying a mattress is quite possible more confusing today than ever. This is due primarily to the advancements in technology that have led to new types of mattresses, as well as the explosion of new mattress brands that sell their products exclusively through online retailers. While big-box mattress buying stores carrying around ten big-name mattress brands are still relevant, new and disruptive online mattress brands are chipping away at the brick-and-mortar juggernauts. Innerspring mattresses have a support system made of steel coils. Different manufacturers utilize different types of spring systems. Some have springs connected into a single unit while others individually wrap pocketed coils. In addition, there are variations in the spring shapes, designs, coil gauge (size/thickness), and number of coils. This innerspring is then covered by padding and/or upholstery materials, usually comprised of foams, fiber, and sometimes additional layers of smaller steel springs. Many manufacturers market their mattresses based on coil count, with the notion that more coils means more points of support and greater distribution. However, we’re finding that coil count may be rather arbitrary. Many innerspring mattresses also come with a “pillow top” option. This simply adds an additional upholstery layer (fiber and/or foam) on the top of the mattress. It puts more distance between the sleeper and the coils, and can soften up a very firm mattress. The main complaint with innerspring mattresses is that they don’t hold up over time. With continued use, the padding around the coils wears down, resulting in sleeping on a pile of coils—which is anything but comfortable. Another common complaint is that they don’t provide the right amount of body contouring and support that you might find with newer technologies and materials. As its name implies, a water chamber is used as the support system. Within the waterbed genre, there are two options: hard-sided and soft-sided. Hard-sided waterbeds have a rectangular wood frame encasing the water chamber; soft-sided uses a rectangular frame of rigid foam which is zippered inside a fabric casing. Whichever chamber type, it is then covered by padding or upholstery and then placed atop a platform. You can also choose between a “free flow” water chamber and a “waveless” water chamber. In the former, nothing obstructs the flow of water within the mattress—making for a wavy ride; in the latter, either fiber materials or baffles limit the water’s motion. Some people swear by waterbeds (perhaps more so in the ‘90s), but they tend to have too much give and not provide enough support. We had actually never heard of any type of air bed other than the kind you take camping or use on the floor during family reunions, but there are actually permanent beds that use an adjustable air chamber for the support system. The air chamber, like innerspring and waterbeds, is covered with padding or upholstery. The positive of air beds is that they allow you to adjust the firmness. In many air beds there is an additional option to separately control the firmness on each side of the bed. This may be a great solution for partners who have vastly different preferences and needs with their mattress. However, the air chamber doesn’t offer the body contouring support you can get with more recent materials (included below). Memory foam—also called “visco elastic foam”—mattresses are constructed of a high density polyurethane foam as the support system. There are usually multiple layers with each layer have a different density and purpose. This material has become widely used because of its properties that allows it to contour closely to the shape of the sleeper, which provides support to pressure points. This type of foam contains gel and can be used alone or in combination with memory foam and/or latex as part of the mattresses support system and/or upholstery layers. Different manufacturers have different methods and technologies for adding the gel to the foam. It is generally added to offer consumers additional features as far as the mattress’s feel and comfort. Gel is also great for dissipating heat, which is a common complaint of standard memory foam. Latex can be used alone or in combination with memory foam as the mattress’s support system and/or in the upholstery layers. It is usually made from plant or petroleum-based materials. Newer mattress technologies are utilizing latex because of its natural bounce and heat dissipation properties. It is also one of the “cleanest” mattress materials, in that it is derived from plant sources and has less questionable chemicals. As you may have noticed, our list contains nothing but foam mattresses with one Latex-topped mattress that also contains gel memory foam. After doing our research, we believe that innerspring mattresses can no longer compete with the best foam mattresses, as the technological advancements with the various types of foam is too great. Although box springs were once the standard when it came to mattress set-up, this is no longer the case. Consumers now have more options from companies like Ikea, where bed frames use slats instead of the more traditional box springs. Adding to this transition, some bed frames are now adjustable and can be positioned at an angle for sitting up and/or TV viewing purposes. Other options include solid platform, a bunkie board, or straight onto the floor. Once you decide what your preference is (if you have one), make sure that your bed is compatible with that setup. We include this detail for each of the mattresses in our above article. As you may have noticed while reading through some of our mattress reviews, a good number of the mattresses listed are certified by an organization named CertiPUR-US. CertiPUR-US tests a mattress on its physical performance, content, indoor emission and environmental stewardship. Adding to this, CertiPUR-US certified mattresses are made without formaldehyde, phthalates, ozone depleters, mercury, lead and other heavy metals, and are low VOC (Volatile Organic Compound), meaning they won’t affect indoor air quality. A CertiPUR-US certified mattress means the brand has done its due diligence to protect you, your family, and our environment from potentially harmful chemicals. When looking for a mattress, we advise you to ensure that it is CertiPUR-US certified. If this article was written 10+ years ago, this particular section of our Buyer’s Guide would look a lot different. When brick-and-mortar mattress stores were a consumer’s only option, mattresses were priced in the multiple thousand-dollar range, as mattress stores had to factor in their overhead expenses as well as ensure that they were left with a good net profit in the end. Nowadays, it’s common to find a high-quality king sized bed for a fraction of what traditional mattresses cost; this is largely due to the internet and disruptive entrepreneurs realizing the incredibly high mark-up tactics of physical stores. Over the last 5 years especially, new mattress brands have begun to spring up (no pun intended) all over the internet, and are using direct-to-consumer tactics to greatly decrease the cost their customers are paying for a new mattress. Factor in all of the other perks of buying from these online mattress brands (more on that below), and we think you’ll agree with us that the new mattress buying industry is a wonderful thing. If you’re like us, you may be thinking: “Sure, a lower price sounds great. But I don’t want to buy a mattress (even if it is cheaper) and get stuck with something I hate.” One of the biggest recommendations with mattresses has always been to try it before you buy it. And we agree; when it comes to investing in something that you’ll literally use every night, you deserve to be completely satisfied, without a stitch of buyer’s remorse. Most of the online mattress manufacturers have considered that hesitancy and put worries at ease by offering a risk-free trial period. Although not every mattress on our list comes with a lengthy risk-free trial period, a good number of them do. While the term ‘risk-free trial’ may sound like a gimmick (maybe one you’ve heard on a midnight infomercial? ), based on the caliber of brands we have included on our list as well as the reviews their products have received from unbiased parties, we trust them to stand behind their offer. We’ve had first-hand experience requesting to return mattresses that weren’t the right fit from a couple of the brands we have listed, and we’ve seen how easy and headache-free the process actually is. The most impressive and incredible trial we’ve seen is the Yogabed Mattress’s mind-blowing 365-night trial, which is over three times as much as the average trial period offered by other mattress brands. Because foam, gel, and latex mattresses can be compressed and rolled up, shipping and receiving them is usually a very simple process. Most of these mattresses can be shipped anywhere in the continental USA and are packed in a medium-sized box that is conveniently dropped off at your front door—without setting up any 4-hour delivery windows. While innerspring mattresses can be a real pain to get into your home and up to your bedroom, foam mattresses that come compressed and boxed up can usually be carried to their resting place in just a couple of minutes. They do require a bit of time to expand once unboxed, but we’d rather wait on my mattress to expand than on delivery guys to show up. Adding to this, the mattress brands that offer a risk-free trial period will pick up your mattress for you, should you choose to return it, free of charge. If you’ve seen the comparison chart we have at the beginning of this article, you might have noticed that every mattress listed has an at least 10-year warranty. This isn’t an accident, as the best mattress will undoubtedly come from a brand that stands behind their products in this manner. If you come across a brand of mattress that doesn’t offer some type of warranty, be very careful before pulling the trigger and making a purchase, as you (the consumer) should be receiving some form of warranty for a rather expensive purchase like a mattress. This is especially important with memory foam mattresses; cheaper constructions will eventually sag and droop, so it’s important to have the warranty protection.